June 20 2010 post. A look at a very interesting study. The abstract (http://tinyurl.com/2wzfue5) tells us the basics: sesamin, a lignan contained in the sesame plant, inhibits the proliferation of a variety of cancer cells, including myeloma cells (!). Another interesting titbit, especially for anyone with high cholesterol levels : sesamin fights hyperlipidemia (=high cholesterol and triglycerides) and hypertension (=high blood pressure), possibly via its effect on a pathway that we have read about over and over again: NF-kappaB (just do a search of my blog or look on the right-hand side under “Pages”; I have written loads about aberrantly-functioning NF-kappaB in myeloma). But perhaps the most amazing thing contained in the abstract is that sesamin potentiated tumor necrosis factor-alpha–induced apoptosis and this correlated with the suppression of gene products linked to cell survival (e.g., Bcl-2 and survivin), proliferation (e.g., cyclin D1), inflammation (e.g., cyclooxygenase-2), invasion (e.g., matrix metalloproteinase-9, intercellular adhesion molecule 1), and angiogenesis (e.g., vascular endothelial growth factor). Wow…amazing. Now I will have a look at some of the interesting bits contained in the full study. The study begins with quite a strong statement: Most modern drugs, commonly called targeted therapies, designed within last two decades for cancer are not so safe, are highly ineffective, and are unaffordable. Thus, agents that can overcome these problems are needed not only for treatment but also for the prevention of cancer. “Let food be thy medicine or medicine be thy food” proclaimed by Hippocrates about 25 centuries ago, or 12 serving of fruits and vegetables daily, proclaimed recently by the National Cancer Institute, suggests to look for agents in the diet that may have potential for cancer. 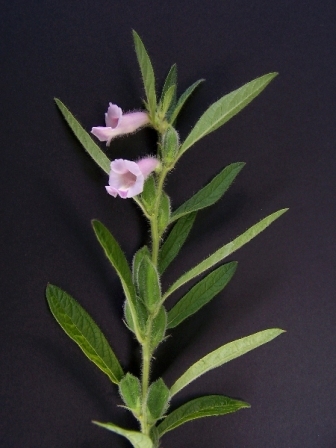 Sesamin, a class of phytoestrogens, is one such agent isolated from the oil of sesame seeds (Sesamum indicum), which has been shown to exhibit variety of activities. And here is more good news: sesamin also blocks the production of IL-6, an acronym that stands for Interleukin 6 = an evil pro-inflammatory cytokine (protein) that is very much involved in myeloma cell survival and proliferation. Hah! I will skip through Materials and Methods…ah wait, this is interesting. These are some of the cell lines used in the study: KBM-5 (human chronic myeloid leukemia), A293 (human embryonic kidney carcinoma), H1299 (human lung adenocarcinoma), HCT116 (human epithelial colon cancer), and RPMI-8226 (human multiple myeloma). Sesamin blocked any sort of proliferation in EVERY SINGLE CELL LINE. How about that?!!! There is more: sesamin also inhibited the proliferation of solid tumor cells, such as human pancreatic cancer MiaPaCa-2 cells, human colon cancer HCT 116 cells, human prostate cancer DU145, human lung adenocarcinoma H1299, and human breast cancer MDA-MB-231 cells. (Lucie, pancreatic cancer!!!). For those who enjoy numbers: the researchers found that sesamin increased the TNF-induced apoptosis from 9% to 65% in KBM-5 cells. And it performed almost as well in myeloma cells, increasing TNF-induced apoptosis (=programmed cell death) from 10 to 47%. The effect of sesamin on myeloma cells is mentioned specifically on page 5: A wide variety of tumor cell types are known to harbor constitutively active form of NF-kappaB, which often results in chemoresistance and treatment failure. Multiple myeloma cell lines (e.g., RPMI-8226) are known to express constitutively active NF-kappaB. The researchers exposed MM cells to sesamin for 12 hours and found that this lignan completely suppressed constitutive NF-kappaB activation in RPMI-8226 cells. Did you notice the words “COMPLETELY SUPPRESSED”??? They did the same with other cancer cell lines. Same result. Excellent news. The list of sesamin’s effects on cancer cells does not end here, but I don’t want this post to sound too much like a laundry list…or like one of those impossibly knotty posts that I have written in the past. I mean, do we really need to know that sesamin blocked the phosphorylation of p65? No, didn’t think so…all we need to know is that sesamin blocks this “phospho” process, which (I read online) is verrrry important for the survival of myeloma cells. So, skip skip skip to the Discussion part of the study. Let’s see. Previous studies, we are told, have shown that sesamin is active against the long list of bad things mentioned in the abstract…AND against septic shock (you learn something new every day…). But nobody had been able to figure out its precise mechanism of action, until this study, that is. Since NF-kappaB has been recognized as the main villain behind the inflammatory processes that cause disease and cancer, these researchers wanted to see if sesamin had any effect on this important pathway. They found out that it really does…Big time.